Usually I have some idea about the day’s blog topic before I sit down to write it. On some days, though, I have no idea…like today. Let’s see…if you’re reading this blog please read the comments. That line appears at the bottom of every post and the comments can be read simply by clicking on the link. I omitted the item showing the number of minutes, which I have learned is the WordPress estimate for how long it should take someone to read the post. On average it takes me 30-45 minutes to write a post including research. The comments are an important part of a blog, in my opinion. No comment is published without being moderated by me so the comments should not degenerate into a series of spam/ads or a flame war. Speaking of a flame war…I have toyed with the idea of sending tweets to celebrities in which I strongly disagree with their views. I would be respectful and certainly not use any profanity, but in the end I think the only reason I want to engage in such activity is in the hope it will drive viewers to Disaffected Musings. What do you think of the idea? Another picture from the Classic Auto Mall in Morgantown, PA. This is a 1988 Avanti convertible. At the Barrett-Jackson auction at Mohegan Sun in Connecticut in 2016 I almost purchased a 1988 Avanti (not a convertible). However, the auction was only about a month after I had purchased the Z4 so I couldn’t really justify staying in the bidding until the end. The 1988 cars were based on the Chevrolet Monte Carlo chassis. Obviously, they used a Chevrolet engine: a 305 cubic-inch V-8 that produced 170 HP/250 LB-FT of torque. I believe a “picture” of a Maserati in the same book is what started Jeremy Clarkson of Top Gear and The Grand Tour on his lifelong love of cars. I did not destroy the book in order to scan the page; the book was already destroyed. I am overjoyed that I have any of it, at all, and I have purchased a pristine example that just sits on a shelf to protect the flimsy binding. An Avanti is a strong contender for my Ultimate Garage, but I’m not sure which version of the car I would choose. In my previous blog I wimped out and showed an original Studebaker Avanti in addition to a more modern version. When Ultimate Garage 2.0 is revealed I will pick only one if an Avanti is selected. What started your love of cars? I would very much like to read your story. I didn’t really have anything to write about specifically today, but began thinking about the general state of affairs. Being a typical living being, I can really only see the world from my eyes. Although I am married to the greatest person in the world, my life has big holes in it. I am bored and unfulfilled. Although I am not exactly lacking in ability, I lack the credentials that today’s society deem as “intelligent.” I don’t have a STEM degree, I don’t have a Ph.D., I don’t have an Ivy League degree, I am not famous and I am way over 40. In this country where credentialism has run amok and age discrimination is de facto legal, I am considered to be obsolete. Perception is reality even if it isn’t. 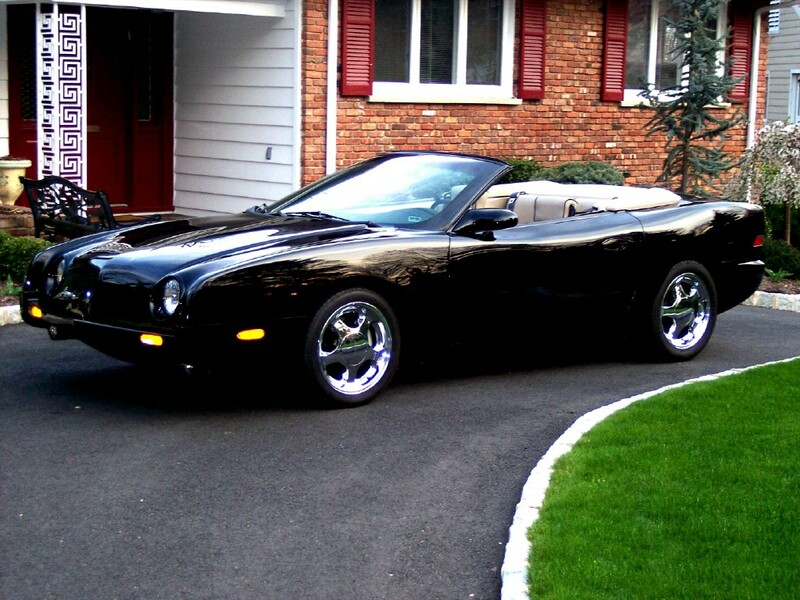 From dragtimes.com a picture of a “last generation” Avanti convertible. I think these are an excellent interpretation of the original design. I discovered today that an Indian company, DC Design, has been building a car called the DC Avanti for about five years. I don’t know if the company legally acquired the rights to the name or if that was even necessary given the way the last company to build an Avanti in the US met its demise (its owner was arrested and convicted of securities fraud). As I have written before, I don’t really know why we have the interests we have and I’m not sure it matters why. Right now in my life, automobiles are my number one interest and help me get through my malaise. Some people only have malaise.